Collins McNicholas, the Galway-based national HR and recruitment firm has been named as one of the Best Workplaces in Ireland in 2017. “We are absolutely delighted to be recognised as a Great Place to Work for the third year in a row, and to make the top ten Great Places to Work in Ireland for the second year in a row was really special and something we are really proud of,” said Niall Murray, Managing Director of Collins McNicholas, who congratulated the other companies who achieved the status of Great Place to Work in 2017. The company was recently presented with the award at the Great Place to Work ‘Best Workplaces in Ireland’ awards at the Clayton Hotel, Dublin. 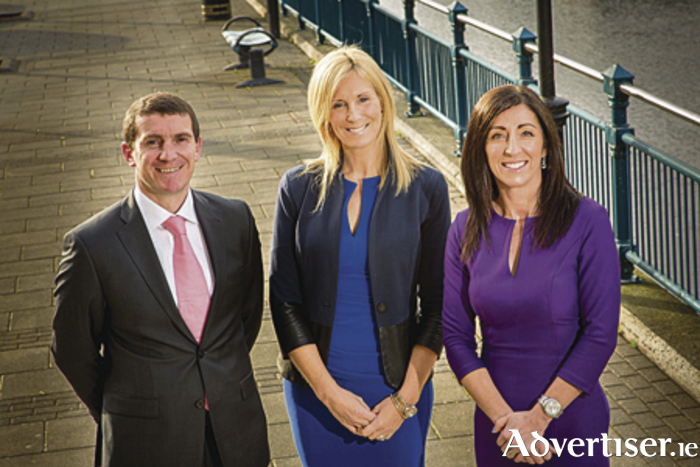 With six offices in Galway, Sligo, Dublin, Cork, Athlone and Limerick, Collins McNicholas is the only nationally-based recruitment company headquartered outside of Dublin. Great Place to Work Ireland which awards companies based on their policies, practices, and employee surveys, has been recognising great workplaces for fifteen years. The organisation has noticed an increase in the number of high-trust workplaces in Ireland. CEO of Great Place to Work Ireland John Ryan said that this is an indication that organisations are continuing to discover the business benefits of developing a culture where all employees are empowered to do their best work. “It’s clear from the results of our assessment survey, that employees from Ireland’s Best Workplaces, who are in a unique position to know, believe that clients and customers can trust their organisations,” said John Ryan. “This is an invaluable vote of confidence from their employees, and is probably the reason why staff in the companies are comfortable releasing all their talents to the benefit of those organisations. “While money was the currency of success in the past, trust is the currency of success now and into the future; we are increasingly living in a world of interdependencies where we need to be sure who we can rely on. The Best Workplaces in Ireland 2017 are capitalising on this increased engagement by delivering regular performance evaluations, recognising excellent performance, and providing coaching and support to poor performers.